All that is changing with a series of seven regional listening sessions sponsored by the Weed Science Society of America (WSSA), the United Soybean Board and the U.S. Department of Agriculture (USDA) Animal and Plant Health Inspection Service. Farmers across the nation are being invited to share their challenges, successes and opinions. 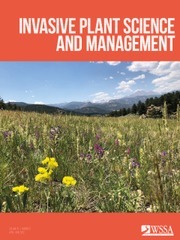 There remains an economic tradeoff between the decreased crop yields and increased long-term costs from resistant weeds versus the increased short-term costs of adopting resistance prevention practices. As a result, it is hard for growers to commit to resistance management early, before they have the problem. This is particularly true with low commodity crop prices. More research and education are still needed to help growers better manage their farms and the weed seed bank year round. There is an understanding that individuals cannot solve the problem themselves, but there is not a clear idea on how to work together. Participants are wary of regulation to deal with resistance, but there is some acceptance that some regulations may be needed to get everyone playing by the same rules. A greater emphasis is needed on nonchemical weed control tactics, including cultivation, weed seed management and use of cover crops. Zero tolerance policies for problematic, herbicide-resistant weeds should apply to everyone, including landowners, native seed producers and departments of transportation responsible for highway medians and rights of way. There is a scarcity of herbicides available to help growers of vegetable and specialty crops diversify weed control and battle herbicide resistance. 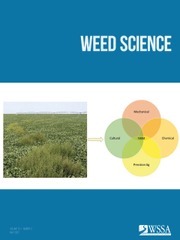 Many hope researchers will develop new weed control chemistries with different mechanisms of action. Concurrent with the listening sessions on herbicide resistance, new materials have been introduced to help farmers make smart decisions in the battle against herbicide-resistant weeds. A newly updated herbicide classification chart provides growers with a ready point of reference on various families of chemicals, active ingredients, product trade names and sites of action. The chart is published by the Take Action Program, a farmer-focused education platform funded by the soybean checkoff and collectively endorsed by agricultural chemical companies, land-grant university weed scientists, and soybean, corn, cotton, sorghum and wheat commodity groups. 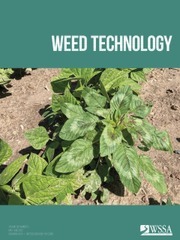 In addition to the site of action chart, www.TakeActionOnWeeds.com offers a wide variety of resources on herbicide resistant weeds and how to best manage them.